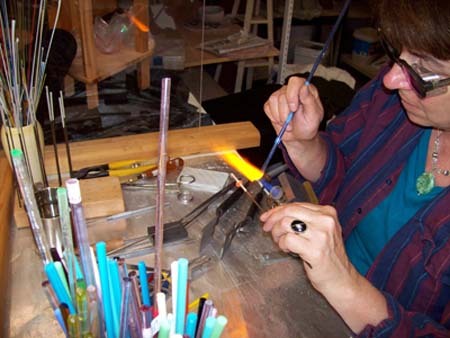 After many years of creating stained and fused glass, Patricia discovered the mesmerizing qualities of hot glass and the art of lampworking in 2002 and never looked back. She has studied warm and hot glass techniques at the Pilchuk School of Glass in Stanwood, Washington, Andreghetti Glass in Vancouver, and at summer series glass courses in Red Deer College in Alberta. Her mentors have included Bandhu Scott Dunham, Leah Fairbanks, Lezlie Winemaker, Alex Cheng, Melanie Rowe, and Leslie Rowe-Israelson. 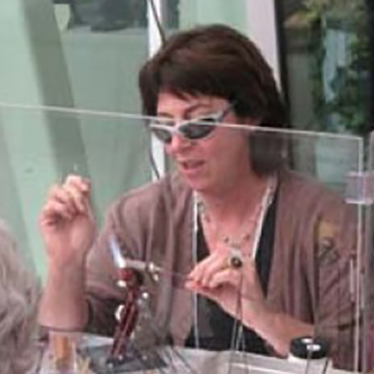 Pat has been teaching for many years and enjoys that as much as she loves creating with glass. She is also a member of The Pacific Pyros Beadmakers and a past member of The Glass Art Association of Canada.